We are taking the plunge and finally installing the backsplash in our kitchen. Now for the hard part…tile. I know I definitely want subway tile, but I’m undecided on which material to use. I did a quick stop at Lowes a grabbed some samples. I can’t wait to rip this off! I was first drawn to #3 the polished marble but I think it might have to much variation and since our granite is already pretty busy I didn’t want it to be over kill. So my second option was #4 the porcelain subway tile. It’s shiny which I love because it will reflect the light and I think it would modernize the kitchen. 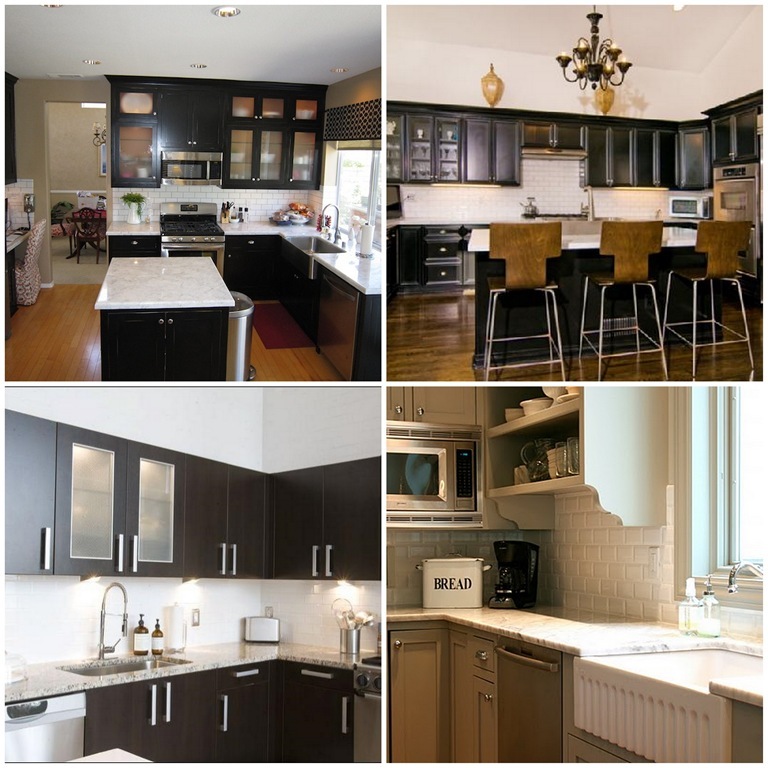 I did some searching as well to find some pictures of kitchens with porcelain subway tile or something similar. I actually mentioned to Ryan yesterday if he wanted to surprise his wife for Christmas that we could paint the kitchen cabinets white, he would have one happy wifey! But anyway for now, I’ll stick with what I have. 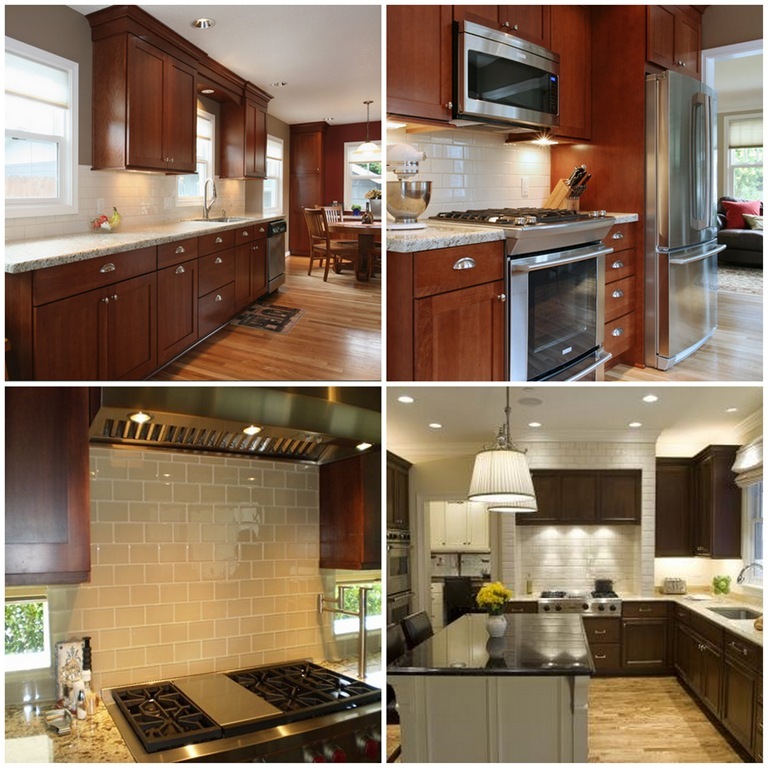 And now I need your help, which backsplash tile do you vote for? i think you’re right on with #4. i think it will pair really well with the countertops and cabinets. 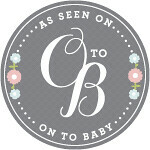 that being said, i think all your options are beautiful! How exciting! Have you thought of doing a honed golden travertine? 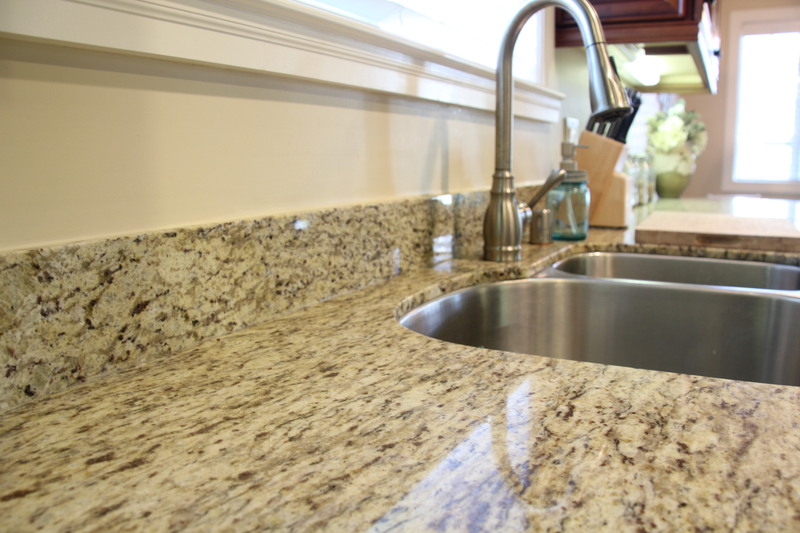 I have a love for the different tones the stone gives off, and I think it could bring out the colors in your granite. There’s always glass tile too which is gorg…but can get very pricey esp with the smaller cut tile. Perhaps a mosaic glass? Check out http://www.stonepewteraccents.com/SPA_mhp_1x4.html…the travertine and the mosaic glass are my favs 🙂 Wish we lived closer, cuz I could give you some contacts for designer’s pricing. Goodluck!!! Hi there! 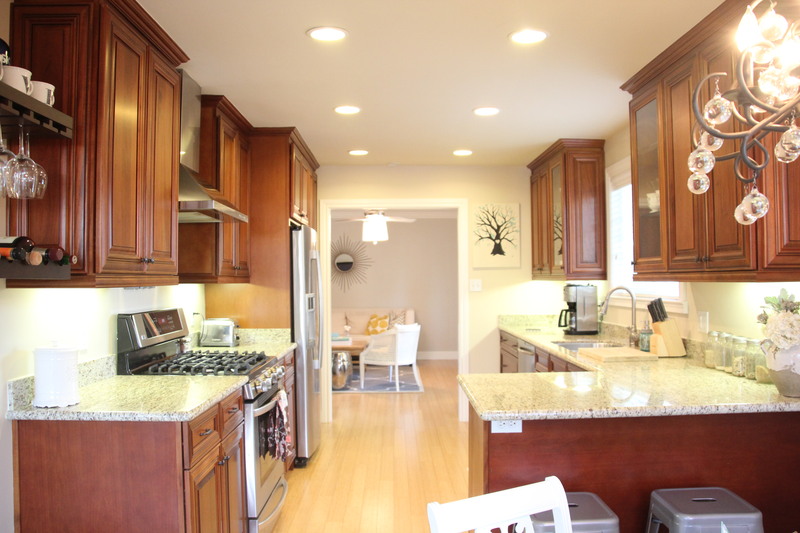 We did a major kitchen remodel last summer and used the tumbled marble tile (almost like what you show in your example). I have been so happy with it! The gentleman that installed my tile used an epoxy grout and I am so glad we went with that! It is super cleanable and I have had zero issues with mold, mildew or stains. I would be happy to send you some finished pictures if you want. Just an opinion. Blessings on your decision! #4 all the way. sleek and modern, and beautiful. I like #4. Keep it simple. 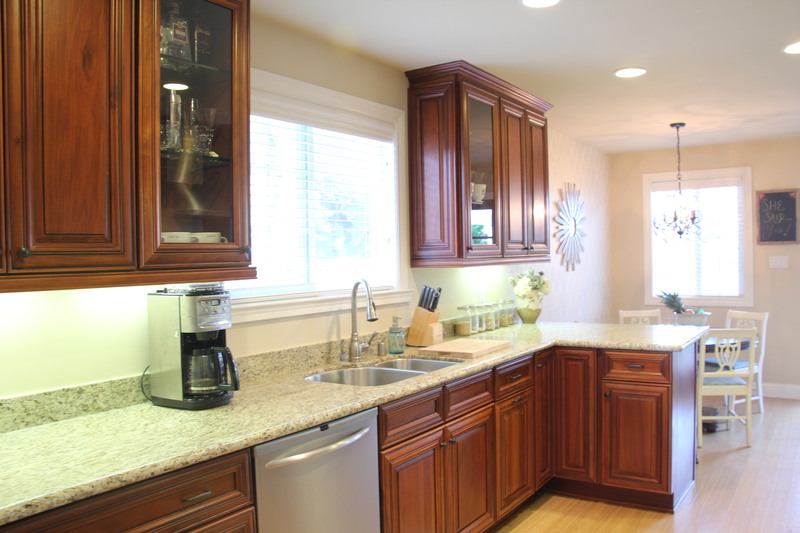 Like you stated… you already have granite counter tops. Less is more. You already know my vote.. #4! 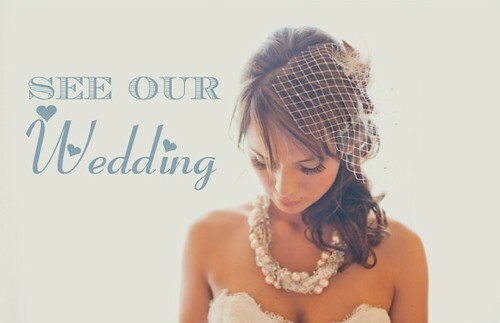 Can’t wait to for you to do this!! I immediately thought #4 before you even talked it up. It will reflect the light so much better and look really clean. 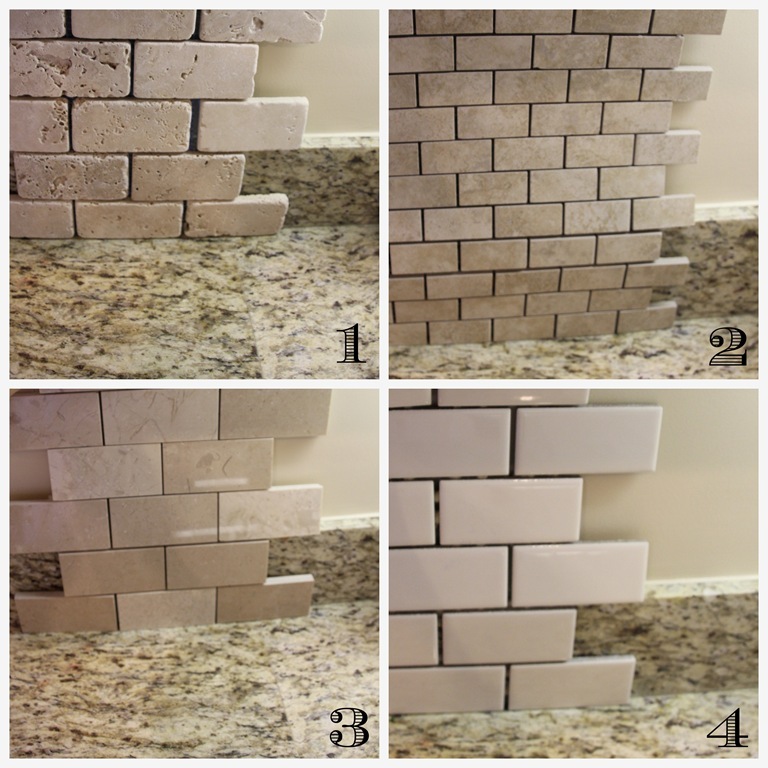 I hope you haven’t chosen yet….if you haven’t I would suggest a plain white 3×6 subway tile (something off the shelf at lowes or HD) The undertone of your granite is yellow and all those samples undertones are pink. You would like it better if you just did a plain white. your granite is busy no need to add something else that would be busy as well! Hope that helps! Thanks for the advice! Funny you wrote this comment because I just got some white subway tile from Lowes and I think we’re going to go with it! Hope to put up pictures soon! I agree with your choice of the solid, shiny porcelain tile. Very clean, polished look. Have you thought about picking up a darker hue from your granite and going with a contrasting look instead of white or nearly white? I think it would look really sharp. 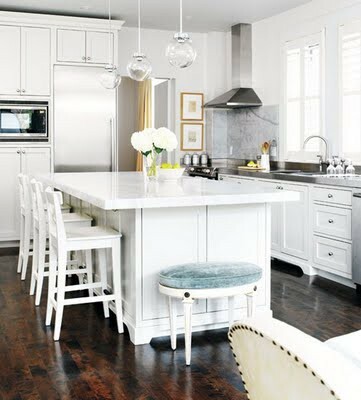 Re: white on white kitchen – great for retirement. Not so sure you would love the upkeep til then. Looks clean when not in use, not so clean otherwise. Hi Lizzie, who is the manufacturer of your kitchen subway tile? I’ve been desperately looking for some like yours as I love how it looks even and doesn’t have variation like handmade does.